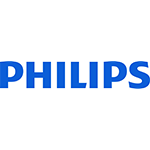 Royal Philips is a leading health technology company focused on improving people’s health and enabling better outcomes across the health continuum from healthy living and prevention, to diagnosis, treatment and home care. Philips leverages advanced technology and deep clinical and consumer insights to deliver integrated solutions. Headquartered in the Netherlands, the company is a leader in diagnostic imaging, image-guided therapy, patient monitoring and health informatics, as well as in consumer health and home care. Philips’ health technology portfolio generated 2015 sales of EUR 16.8 billion and employs approximately 70,000 employees with sales and services in more than 100 countries.